Home » Latest News » Today is Introduce A Girl To Engineering Day! We would like to introduce you to Charlene one of our latest Lift Engineering Apprentices. Charlene is a qualified electrician who is very interested in the lift industry. As a mature apprentice we will support Charlene to gain her level 3 NVQ in lift engineering and also carry out on site training, working closely with a senior engineer. 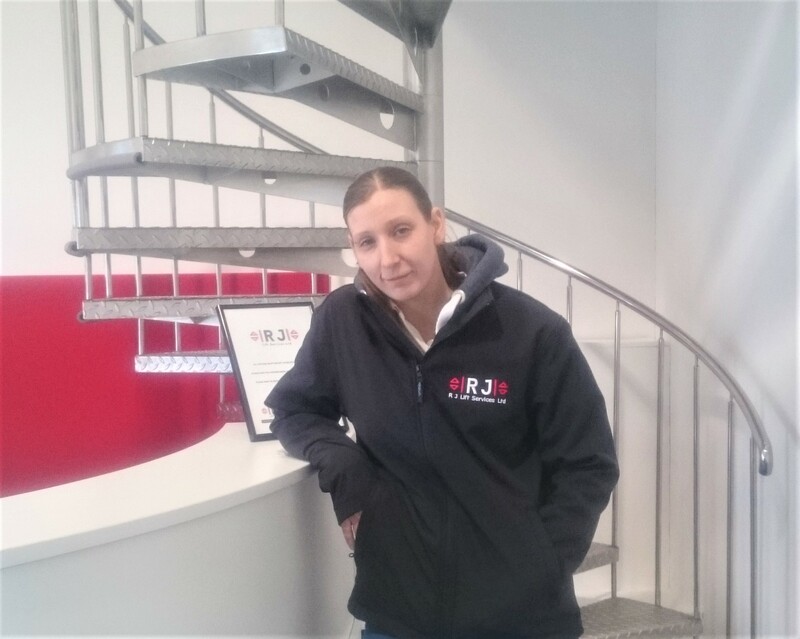 Over the space of 2-3 years with continued support, training and assessment R J Lift Services will support Charlene to fulfil her potential of becoming a fully qualified lift Engineer!